Coloured map of Gothia, Götaland, Sweden. 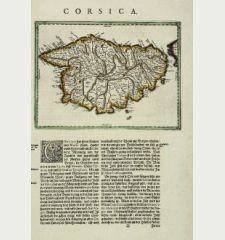 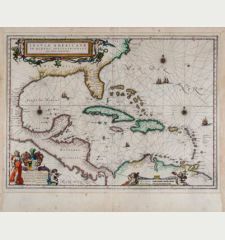 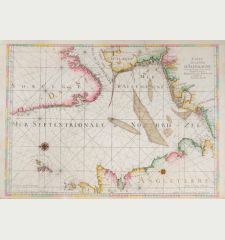 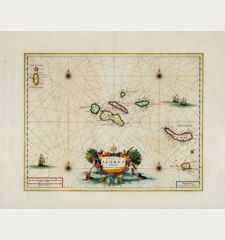 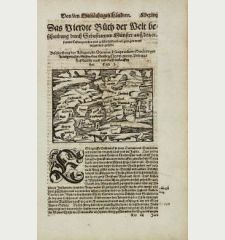 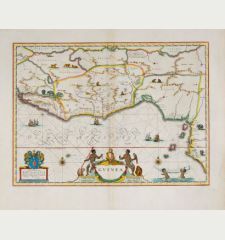 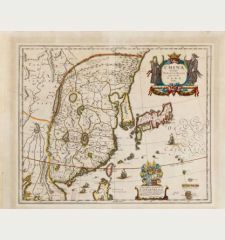 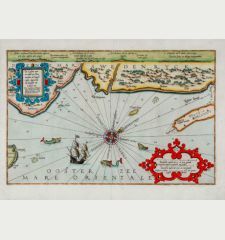 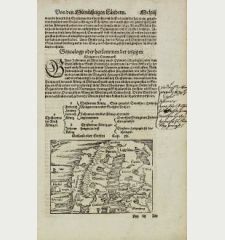 Printed in Amsterdam by Joan & Cornelius Blaeu in 1641. 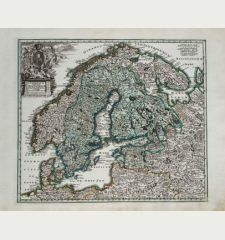 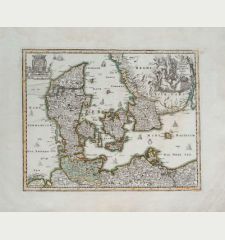 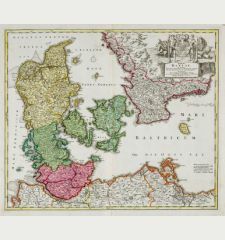 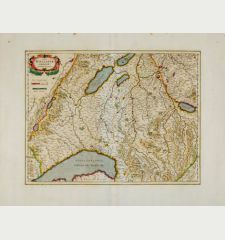 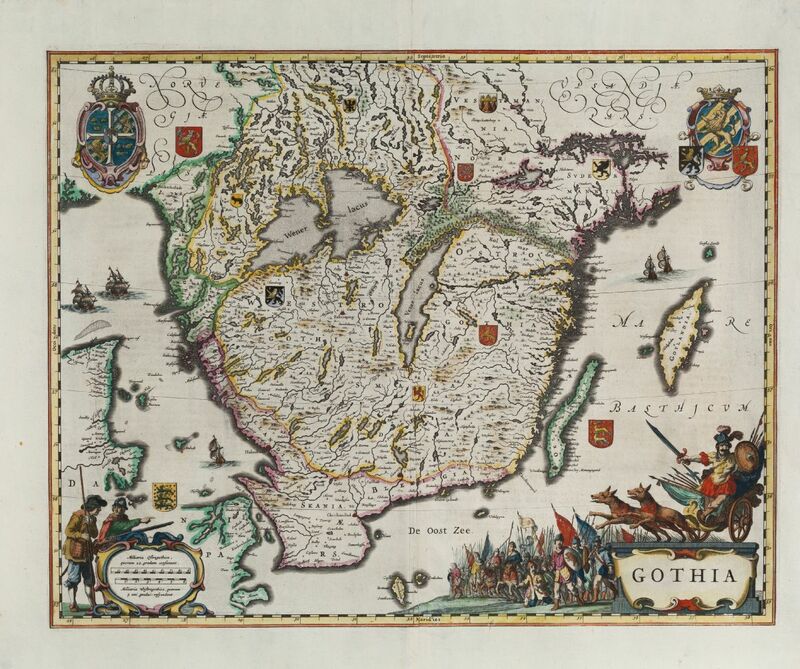 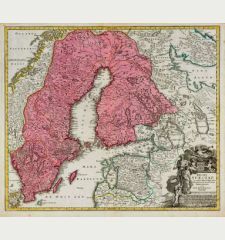 Beautiful coloured map of southern Sweden showing Götaland. 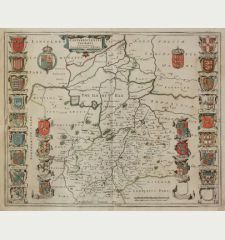 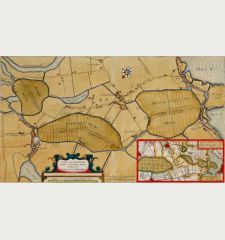 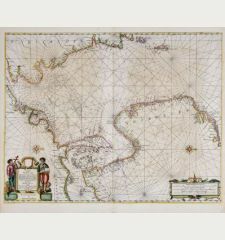 This is the early version of the map with mileage scale cartouche and without publishers address. 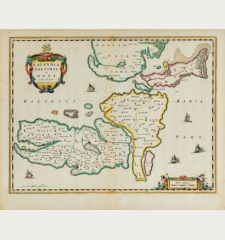 With two large coat of arms and several small regional arms, a large figural title cartouche and many ships. 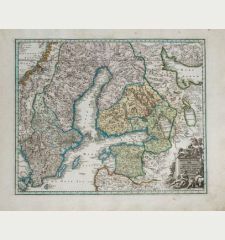 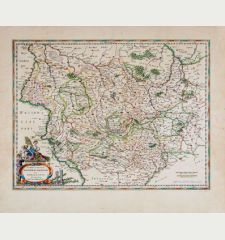 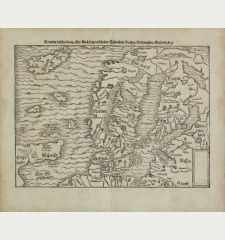 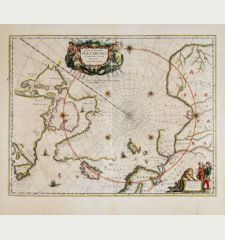 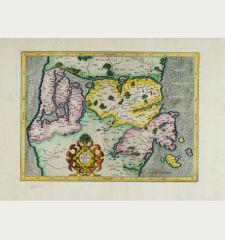 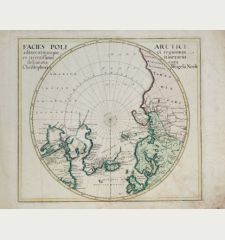 From the German edition of Novus Atlas published by Joan and Cornelius Blaeu 1641/42, with German text on verso. 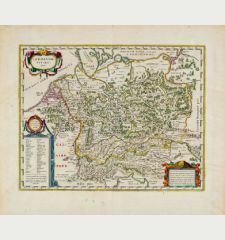 A minor crease at centrefold, small tears in margin, tears in upper and lower centrefold completly backed.